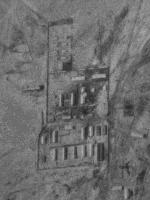 The Vozrozhdeniye [Renaissance or Rebirth] Island test site in the Aral Sea was part of the older, military BW system. The island was apparently chosen for open-air testing of biological weapons because of its geographical isolation. Vozrozhdeniye is situated in the middle of the Aral Sea, surrounded by large, sparsely populated deserts and semi-deserts that hindered unauthorized access to the secret site. The island's sparse vegetation, hot, dry climate, and sandy soil that reaches temperatures of 60· C (140· F) in summer all reduced the chances that pathogenic microorganisms would survive and spread. In addition, the insular location prevented the transmission of pathogens to neighboring mainland areas by animals or insects. The northern part of Vozrozhdeniye Island, which Kazakhs call Mergensay, is on Kazakhstani territory. The southern two-thirds of the island is in the Karakalpak autonomous region of Uzbekistan. 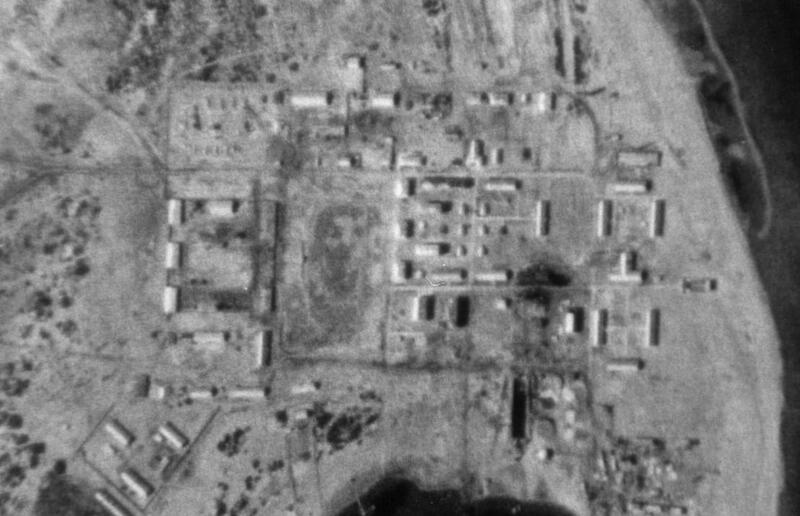 In 1936, Vozrozhdeniye Island was transferred to the authority of the Soviet MOD for use by the Red Army's Scientific Medical Institute. The first expedition of 100 people, headed by Professor Ivan Velikanov, arrived on the island that summer. The researchers were provided with special ships and two airplanes and reportedly conducted experiments involving the spread of tularemia and related microorganisms. In the fall of 1937, however, the expedition was evacuated from the island because of security problems, including the arrest of Velikanov and other specialists. 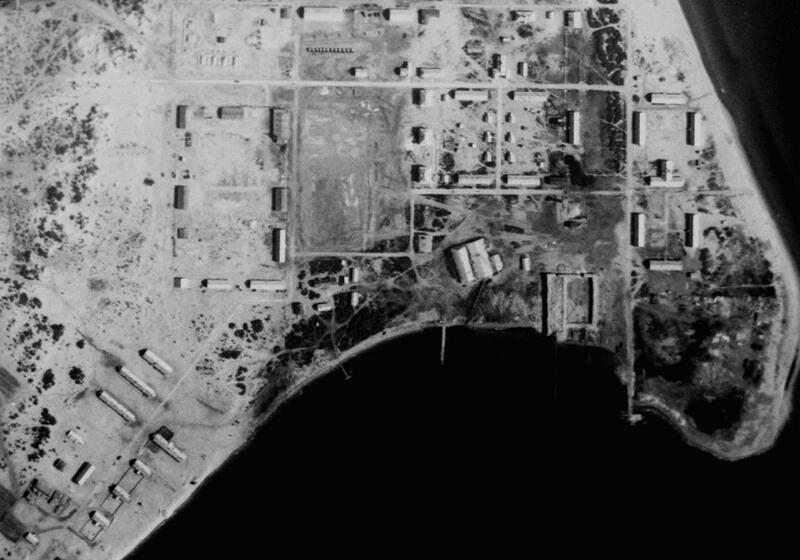 In 1952, the Soviet government decided to resume BW testing on islands in the Aral Sea. 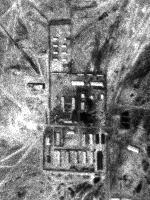 A biological weapons test site, officially referred to as "Aralsk-7," was built in 1954 on Vozrozhdeniye and Komsomolskiy Islands. 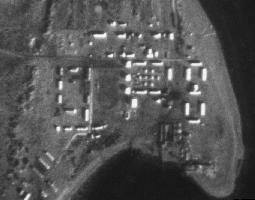 The MOD's Field Scientific Research Laboratory (PNIL) was stationed on Vozrozhdeniye Island to conduct the experiments. 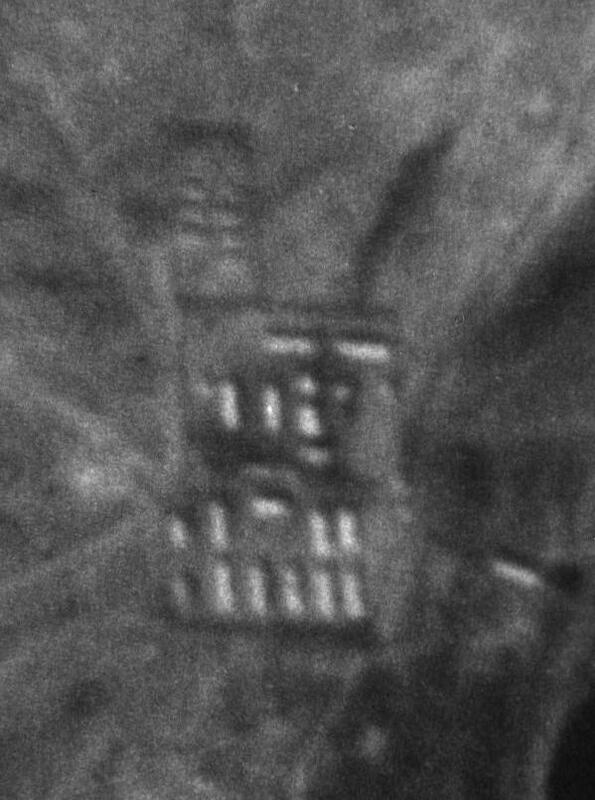 Military unit 25484, comprising several hundred people, was also based on the island and reported to a larger unit based in Aralsk. The PNIL developed methods of biological defense and decontamination for Soviet troops. Samples of military hardware, equipment, and protective clothing reportedly passed field tests at the island before being mass-produced. During the Soviet intervention in Afghanistan, military protective gear developed for Afghan conditions was tested at the PNIL. The BW test site on Vozrozhdeniye Island was divided into a testing complex in the southern part of the island and a military settlement in the northern part where officers, some with families, and soldiers lived. 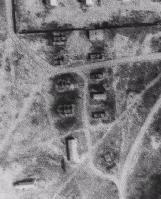 The settlement had barracks, residential houses, an elementary school, a nursery school, a cafeteria, warehouses, and a power station. Personnel were subjected to regular immunizations and received hardship benefits.) PNIL laboratory buildings, located near the residential area, possessed up-to-date equipment and a Biosafety Level 3 containment unit. Also located in the northern part of the island was Barkhan Airport, which provided regular plane and helicopter transportation to the mainland, and a seaport at Udobnaya Bay. Special fast patrol boats protected the island from intruders. 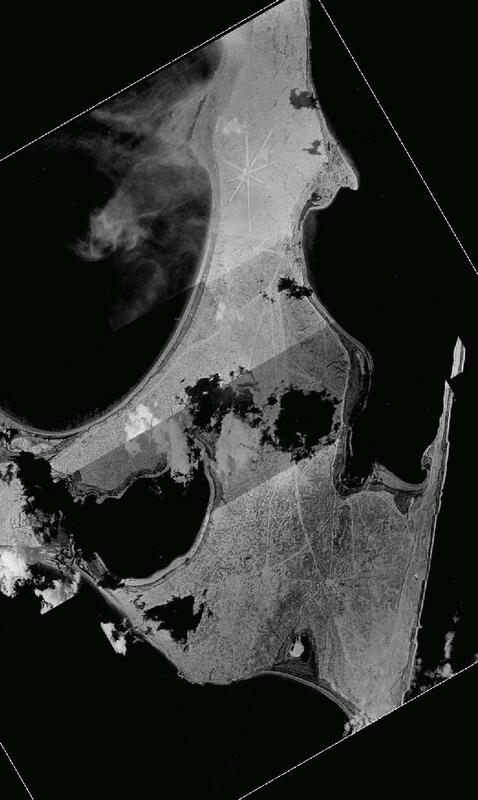 The open-air test site in the southern part of the island was used for studying the dissemination patterns of BW agent aerosols and methods to detect them, and the effective range of aerosol bomblets with biological agents of different types. 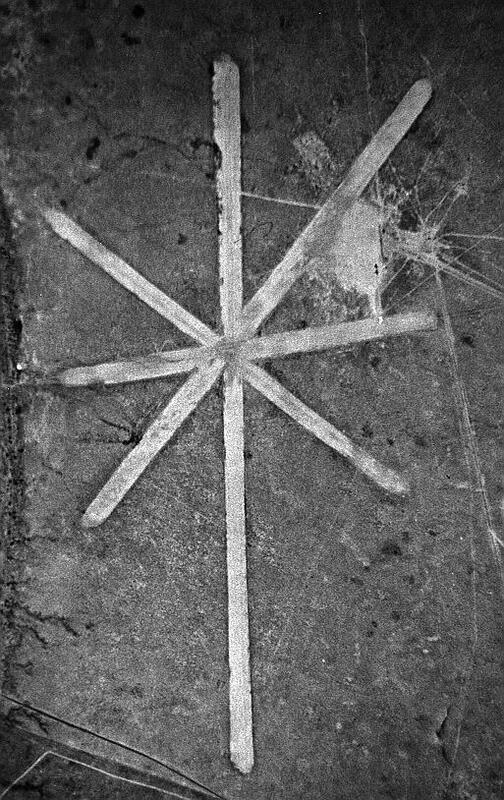 The testing grounds were equipped with an array of telephone poles with detectors mounted on them, spaced at one-kilometer intervals. BW agents tested at the Vozrozhdeniye site had been developed at the MOD facilities in Kirov, Sverdlovsk, and Zagorsk, and the Biopreparat center in Stepnogorsk, and included anthrax, tularemia, brucellosis, plague, typhus, Q fever, smallpox, botulinum toxin, and Venezuelan equine encephalitis. The experiments were conducted on horses, monkeys, sheep, and donkeys, and on laboratory animals such as white mice, guinea pigs, and hamsters. In addition to common pathogenic strains, special strains developed for military purposes were tested at the island. Bacterial simulants were also used to study the dissemination of aerosol particles in the atmosphere. 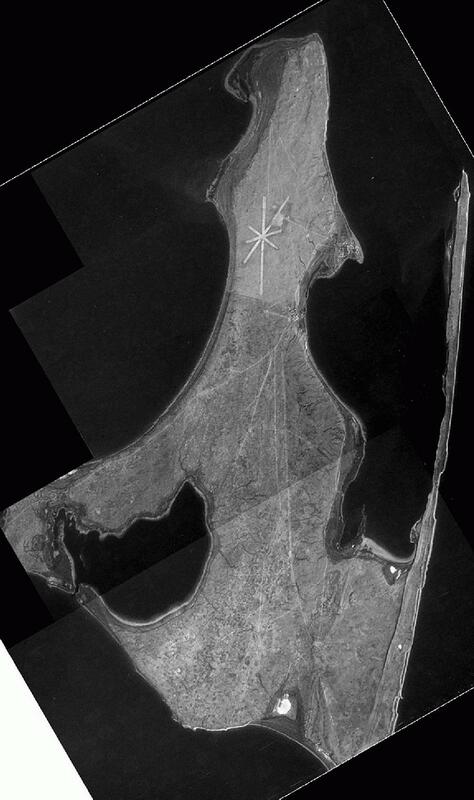 The fact that the island's prevailing winds always blow toward the south, away from the northern settlement, was probably an important factor in designing the site. 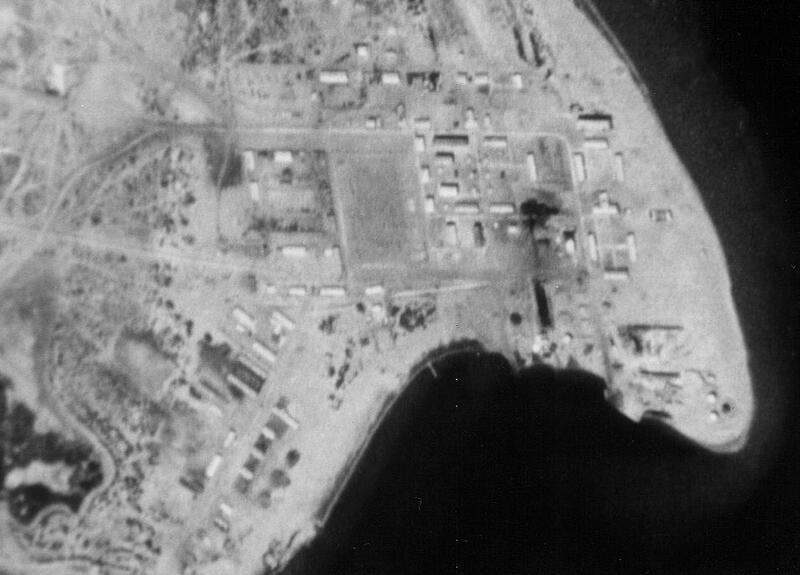 The BW aerosol tests were also conducted in such a way as to avoid contaminating the northern military settlement, and a special service on the island was responsible for environmental control. Nevertheless, the activities on the secret island caused serious concerns among local residents because of repeated epidemics and the mass deaths of animals and fish in the area. 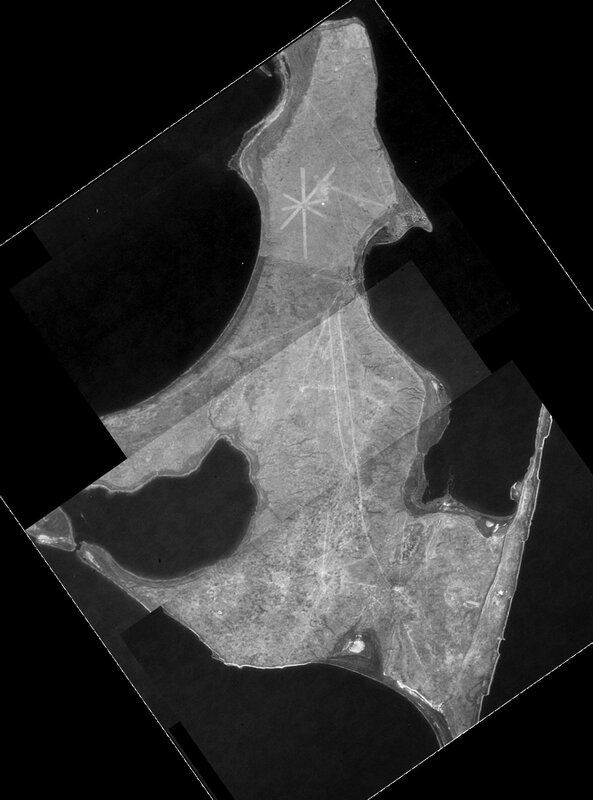 Individual cases of infectious disease also occurred in people who spent time on the island. The Aral Sea is fed by two rivers -- the Amu Darya and the Syr Darya -- which pass through a large desert area that has been turned into irrigated farmland. Planners diverted most of the fresh river waters that once flowed to the Aral Sea to irrigate water-intensive cotton crops. Only 10 percent of that water now reaches the Aral. 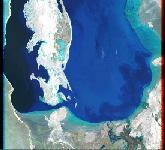 As a result, the Aral, once the fourth largest inland sea, has lost over half its surface area since 1960 and continues to shrink. Islands are rising from the sea and have split it into several separate water bodies. The accompanying loss of the commercial fishing industry, deterioration in water quality, contamination of the soil from salt blown hundreds of miles from the former sea bottom, and declining ground water levels have devastated a 400,000 square kilometer region. For example, a fish processing factory which was once on the banks of the Aral Sea is now 80 km from the beach. Trainloads of fish now are transported from the Pacific Ocean to keep the factory open and the surrounding community productive. Also, as the Amu Darya and Syr Darya flow through the farmland, they collect agricultural chemicals which then are deposited into the Aral Sea. As these chemicals have moved into the sea and surrounding area, soil fertility has decreased and human health problems have increased in the area. Cancer rates and birth defects are up. Several science teams are studying the death of what was once the fourth largest lake in the world. Comparison of 1962 CORONA imagery with more recent satellite data shows details of the dramatic change in the shoreline of the Aral Sea in Russia resulting from extraction for agricultural and other purposes. By the early 1990s, the desiccation of the Aral Sea, which had been taking place since the 1960s because of the diversion of water into irrigation projects, had begun to impair the operation of the Vozrozhdeniye test site. Although the island was initially 200 square kilometers in size, it expanded to 2,000 square kilometers by 1990. 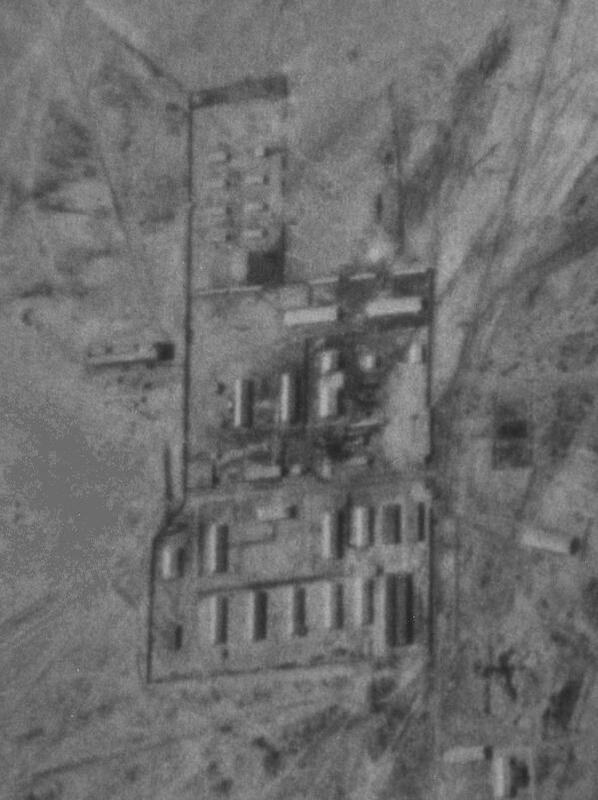 The shrinkage of the Aral Sea increased operational expenditures at the test site, particularly the cost of importing necessary items. The site's port had to be relocated several dozen kilometers away from the settlement, increasing the need for ground transportation and the size of the labor force needed for loading and unloading operations. 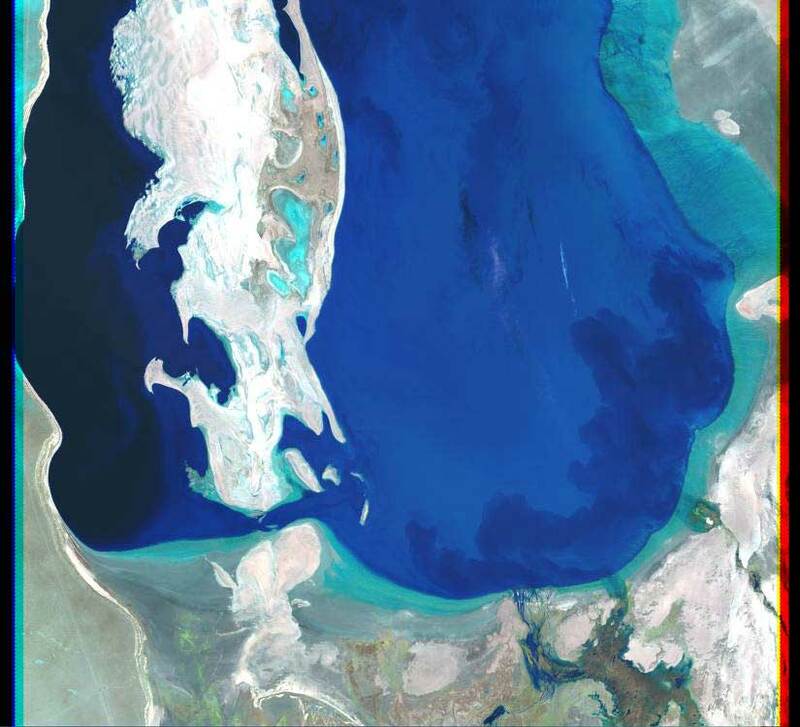 Kazakhstani specialists believe that by 2010, the island will be connected to the mainland; there is already a shallow zone between the island and the settlement of Muynak on the Uzbekistani coast. The emergence of a land bridge would eliminate the major security benefits of the island. The Moscow authorities did not allow Kazakhstani public representatives to visit Vozrozhdeniye Island until 1990. The first Kazakhstani commission, headed by N. I. Ibrayev, Deputy Chairman of the Kzylorda Oblast Executive Committee of the CPSU, visited the island in August 1990. The visit was hosted by Valeriy Sinevich, the commander of the military unit stationed on the island, and Victor Donchenko, deputy head of the PNIL. In the spring of 1992, a second Kazakhstani government commission headed by Svyatoslav Medvedev, Minister of Ecology and Bioresources, visited the island. In August 1992, an independent expert commission of the Aral-Asia-Kazakhstan non-governmental organization also visited. 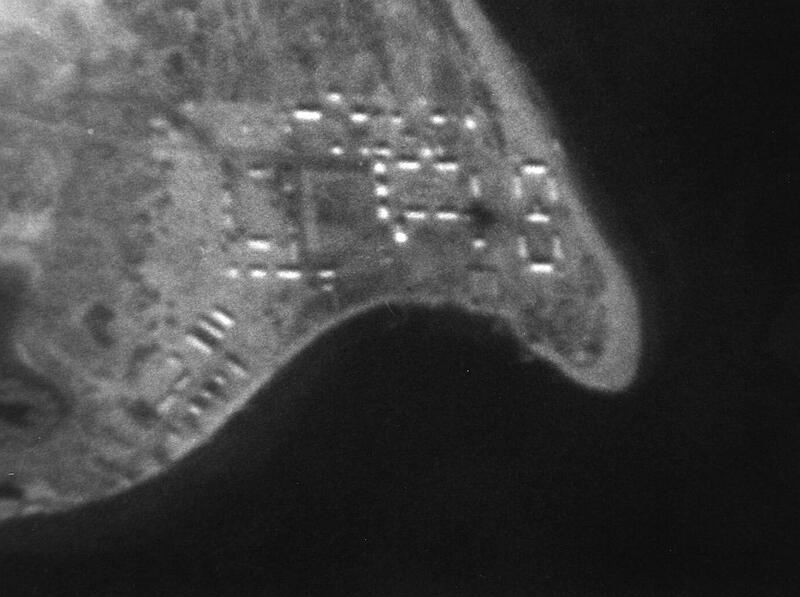 The Russian military authorities claimed that no offensive testing or research had been conducted on the island and that the site had tested only defenses against biological weapons. Evacuation of Russian military personnel from Vozrozhdeniye Island began in 1991, when the PNIL specialists left and the laboratories were mothballed. 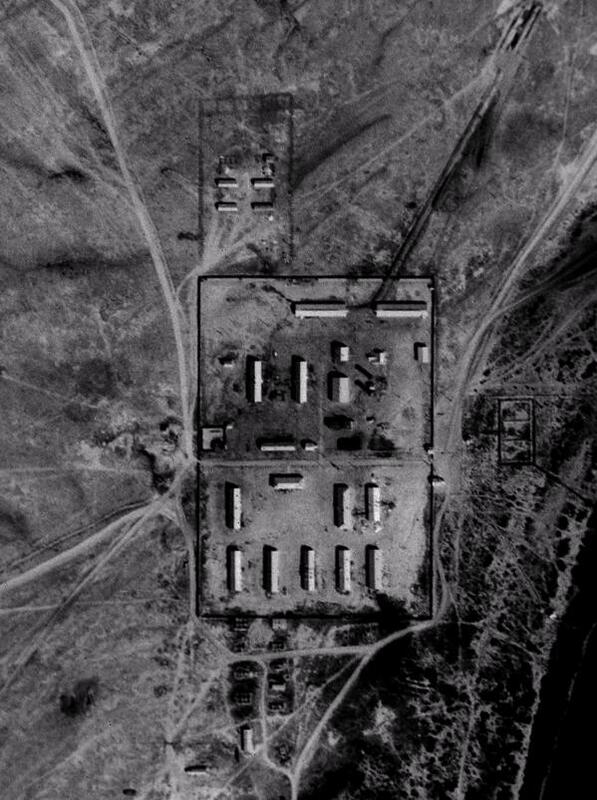 On January 18, 1992, the Supreme Soviet of newly independent Kazakhstan issued the edict "On Urgent Measures for Radically mproving the Living Conditions of Aral Area Residents," which officially closed the Vozrozhdeniye military site. On April 11, 1992, Russian President Boris Yeltsin's Edict No. 390, "On Ensuring the Implementation of International Obligations Regarding Biological Weapons," ordered that all offensive BW programs be shut down. 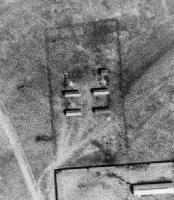 Following this decree, the Russian government declared that the Vozrozhdeniye site was closed, the special structures would be dismantled, and within two to three years the island would be decontaminated and transferred to Kazakhstani control. 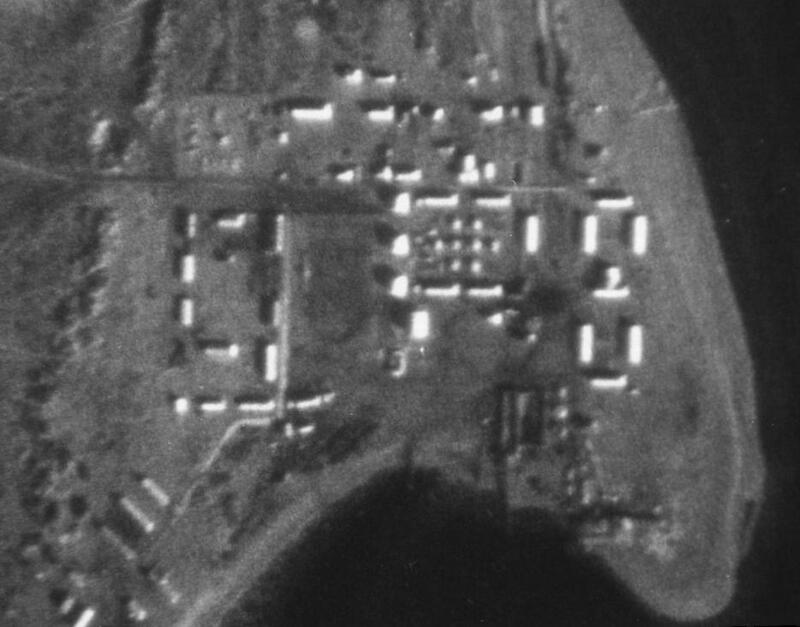 In August 1995, specialists from the US Department of Defense visited Vozrozhdeniye Island and confirmed that the experimental field lab had been dismantled, the site's infrastructure destroyed, and the military settlement abandoned. 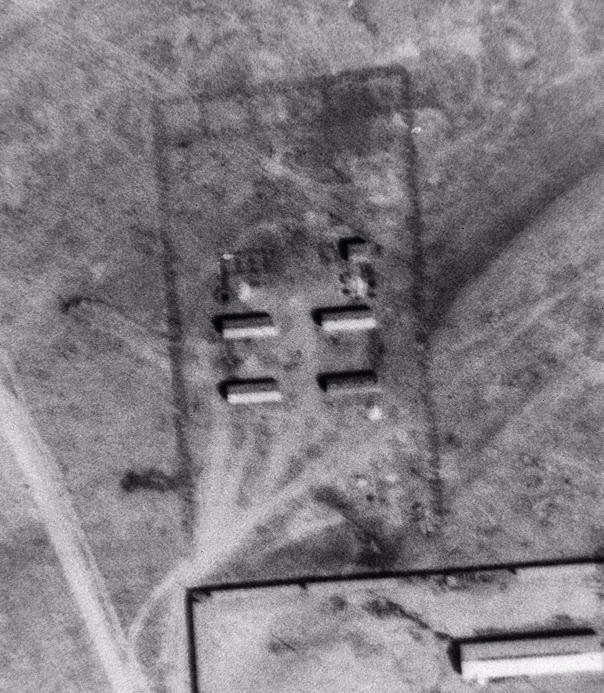 After the Russian authorities left Vozrozhdeniye Island in 1992, local residents of Kazakhstan and Uzbekistan flocked to the island to seize abandoned military equipment that the Russian forces had been unable to take with them. It is to be hoped that the looting occurred in the safer, residential part of the island. Kazakhstan has not yet used the portion of the island under its jurisdiction for economic purposes, and specialists remain concerned about environmental contamination. American scientists have found live spores of the deadly anthrax bacteria in a pit on Vozrozhdeniye Island, where the biological weapon was supposed to have been buried safely more than a decade ago, The New York Times reported on 02 June 1999. 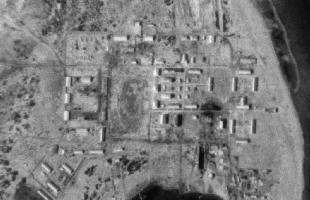 The newspaper described the Central Asia island where the pit is located as "the world's largest anthrax burial ground." Hundreds of tons of anthrax bacteria, which were developed in the Urals region of Russia under the Soviet biological weapons program, were drenched in bleach, sealed in stainless steel drums and sent to the island by train. The bleach was to have killed the bacteria before it was buried in the pit. 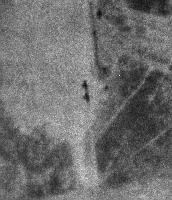 However, US military scientists and intelligence officials, who have studied the site for four years, found that some spores survived and were potentially lethal. The danger of contamination has increased because the Aral Sea is drying up. As it does so, the island has grown, and local officials fear it will soon be connected with the mainland. 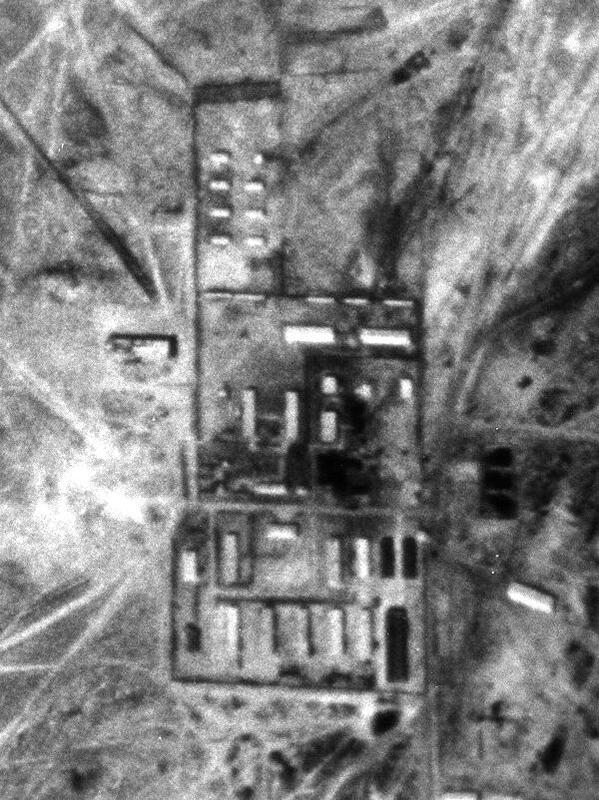 Legacy of Soviet germ war lives on By Dana Lewis NBC NEWS 20 October 1999 - Some 2,300 miles south of Moscow in the middle of the Aral Sea lies one of the darkest secrets of the Cold War: Vozrozhdeniye Island.